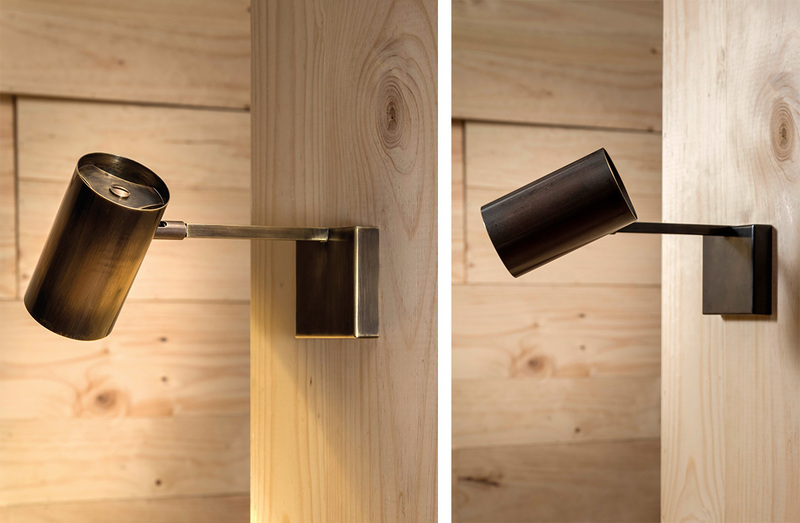 Brass sconce with rotating swivel head. Available to order in a number of metal finishes, or powder-coated paint finishes, all with brass detailing. On/off switch located on cord.